This EMS quick study tips episode focuses on the skeletal system. 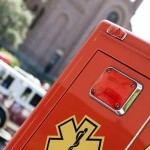 Get the EMS exam help that covers key elements of any EMS paramedic exam. Check out the EMS Quick Study Guide that I mentioned in the video, Get details here. This installment of the EMS Quick Study Help discusses Tissues and Integumentary System. EMS anatomy and physiology Part IV. This weeks Monday Minutes starts a brand new feature where I am going to focus on nice EMS quick study tips. These early ones may be a bit run of the mill for you but I want to start at the beginning and build this library resource for you and future members. Be sure to Like and Share below – the social media deities will thank you. If you are a paramedic or EMT student, refreshing or brand new. Studying the content for exams is always a task less than favorited. However, being an EMS professional requires you to not merely memorize content that will help your patients but actually know and understand the content and how it’s applied. So with so much content to absorb, how do you learn it vs. simply memorizing it for an exam? In this EMS study tips video I talk about how you can learn the content required to be a knowledgeable EMS provider. Yes you still may have to memorize certain aspects of what you need to know, but learning the content and understanding it will most certainly help you recall what you need to on exams and out in the field. Click here for more information and to sign up for the EMS Exam Boot Camp video recording. Last week I talked about using audio, review sheets and flash cards in preparing for the NREMT exam. I finish it up in part two and cover some other not often utilized resources to help you with this exam. Taking the NREMT exam or know someone who is? Then you might want to bookmark the next few Monday Minutes. I am going to give some key study and test preparation tips so that you can succeed not just on the NREMT, but any EMS exam.